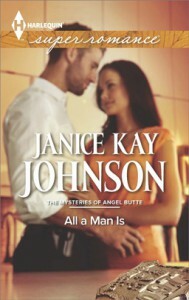 Family dynamics and romance are highlighted in the fabulous entry to Janice Kay Johnson's The Mysteries of Angel Butte series! With a new chief of police brought in from outside Angel Butte to help clean up the corruption, Janice Kay Johnson adds a new hero to the her The Mysteries of Angel Butte series. In Alec Raynor, Johnson creates a hero that I think every reader would swoon for in All a Man Is, the third book in the series. Not to disappoint the ladies of Angel Butte, but it seems like he only has eyes for Julia, his brother’s widow, who moves into the adjoining condo with her two children. Their story, how they grow to trust one another, how the children are effected by the move, was center stage in this All a Man Is. While there is definitely mystery and suspense in All a Man Is, it’s really the family dynamics that made the pages fly in my Kindle. 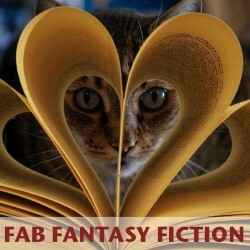 Johnson’s sensitivity to her characters shone in this entry.